Renting a house often feels like you have to make sacrifices on the amenities your family would intentionally purchase. Features like a fully fenced yard or an open concept living space might not always be available in your price range or in a chosen town. 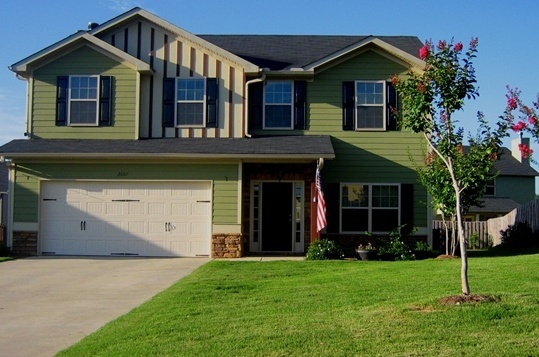 Special features may be hard to come by in rental properties, but these current MilitaryByOwner rental listings near Fort Benning, Georgia, have that “something extra” renters are looking for. This home is no longer listed. 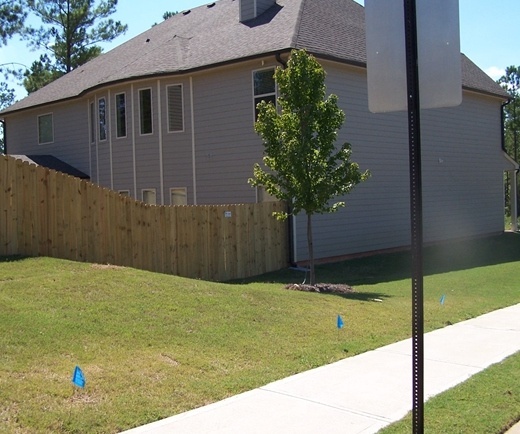 Please check the current Ft. Benning listings for more properties. Parents do love a home on a cul-de-sac. Little traffic and neighborly interaction makes it a perfect place to play and chat. It’s not unusual for a rental home to lack curb appeal. But not this one! 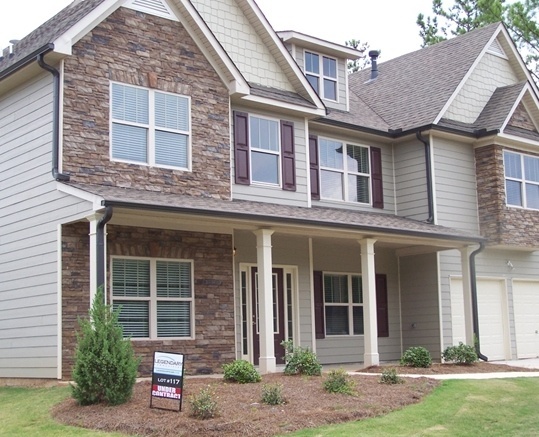 The color scheme and details of the exterior make for a house that renters will be proud to come home to. 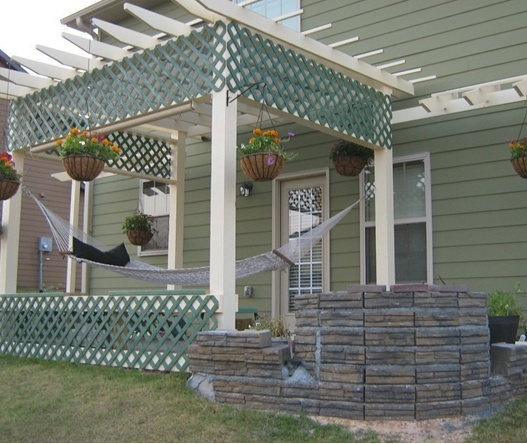 Flowering trees and rose bushes in both the front and back yards evoke a warm and pleasant atmosphere, which will be easy to enjoy under the charming pergola in back. Another family-friendly feature found in this house is the layout of the bedrooms. All four are neutrally painted and found upstairs. The master bedroom has a sitting area that could be useful for a workout space or home office. Downstairs, the house has an open concept living plan with plenty of extra storage in the kitchen. The property is protected by a security system. More kid friendly perks: recreation area with pool, playground, nature trails, baseball fields, and picnic areas. Here’s a bonus for the parents--just 15 minutes to either front or back gates to Fort Benning. You’d be surprised how many military families PCS with a horse in tow. It would be a challenge to find a house to buy with the space available near a military base. Imagine trying to find a rental property that can lodge a horse! There is horse accommodating rental property in Seale, Alabama. It sounds far from Fort Benning, Georgia, but it’s only a 10-minute commute. The owners are comfortable with a horse and pet loving family and offer the use of their fenced pasture and shelter for their comfort. 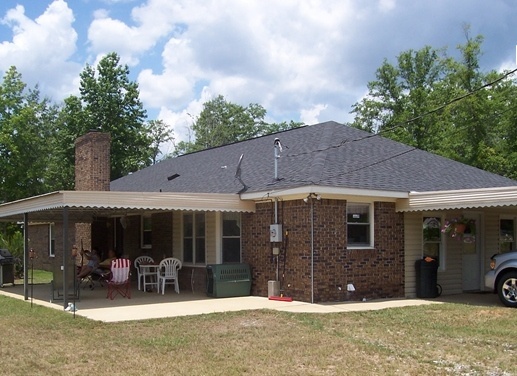 Three bedrooms and two baths make up this brick ranch style home of 2,200 square feet. Other amenities include a laundry/mud room (with an extra shower), a wood burning fireplace, and neutral colored flooring and paint throughout the home. Outside, the property is set up to enjoy the seasons and landscape by virtue of a covered patio in the back of the house. A two-car covered carport provides shade in the heat and a single detached garage doubles as a workshop. Both have water and power available. Does your family need space, and a lot of it? The rental property on Stocks Circle rests on a coveted corner lot, offering even more space to explore and play. This home is completed by a two-car garage and access to neighborhood activities such as the community pool and playgrounds. Talk about a perfect set up for a single military member! 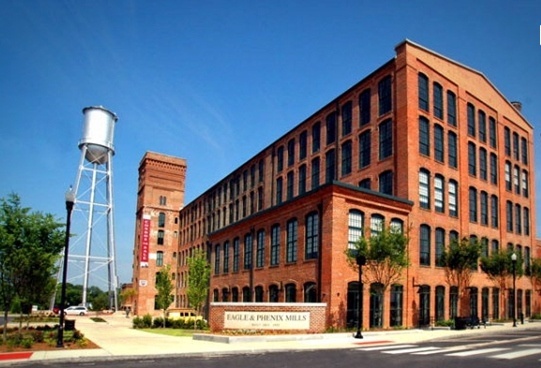 Entertainment of all types is right out the front door of this one-bedroom, one-bathroom condo in the renovated Eagle & Phenix Mill. The scenic Riverwalk is teeming with activities, whether it's white water rafting or beer tasting in one of the many restaurants within walking distance. 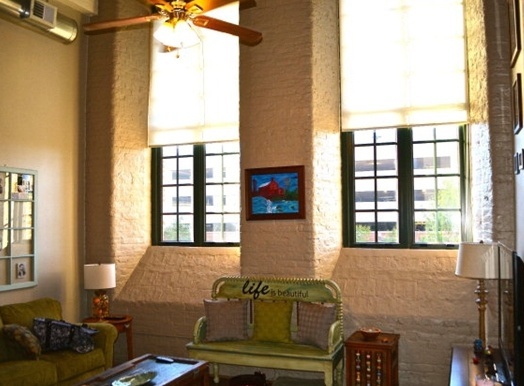 The loft has exposed brick and soaring ceilings that add an abundance of charm and ambiance. A 24-hour secured entry provides an extra layer of safety, as does the onsite parking. If running along the Riverwalk doesn’t provide enough exercise, a fitness center is available for tenants. The best part? The first month’s rent is free for qualified military applicants. Renters, don’t be discouraged! Plenty of properties have special features available. MilitaryByOwner’s filter feature will let you limit your search to houses with a range of unique qualities from golf course access to waterfront views. Once MilitaryByOwner has helped you chose the perfect rental, come back to find out how to decorate and make the space your own.